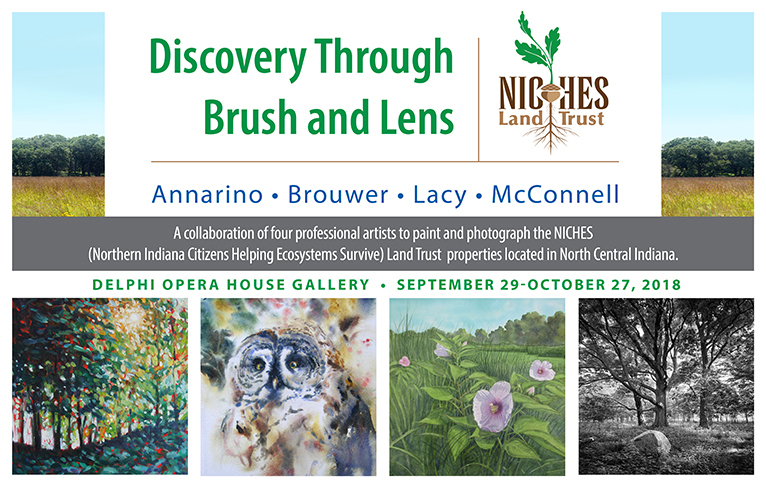 The Discovery Through Brush and Lens Show will open at the Art Museum of Greater Lafayette on May 10th. 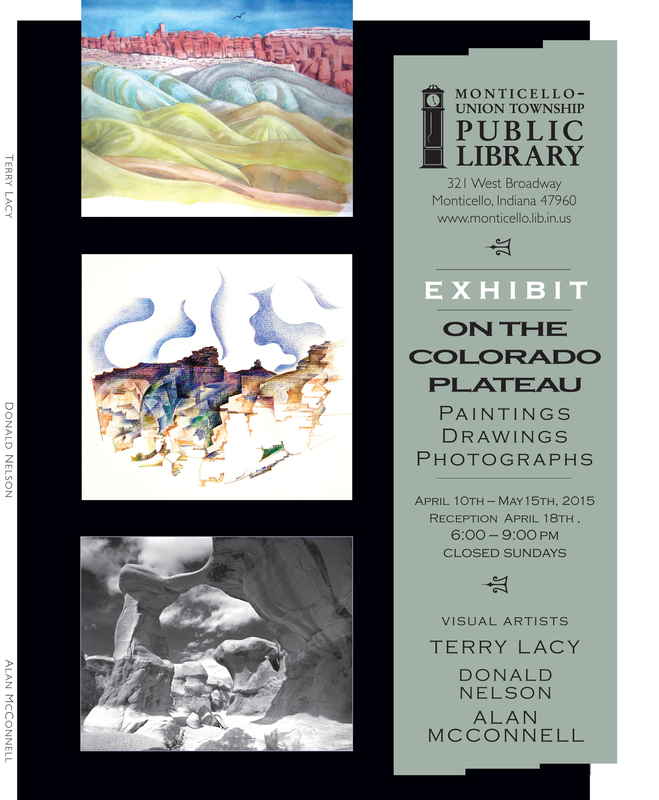 During the month of October, I will be having a solo show at the Plainfield - Guiford Township Public Library. Join us for the opening reception on Friday, Oct. 12th at 6:30. Our documentary film, "Discovering Turkey Run" will be shown. This is a free event for the community. All commissions go to help support the library. 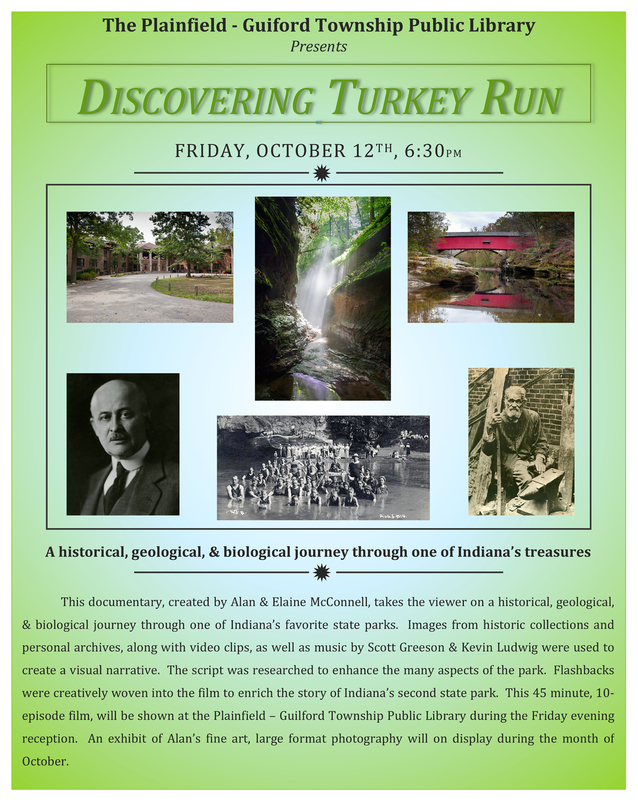 The digital page for WFIU & WTIU, Digital 1229, presents an interview and a YouTube link to the documentary film "Discovering Turkey Run." 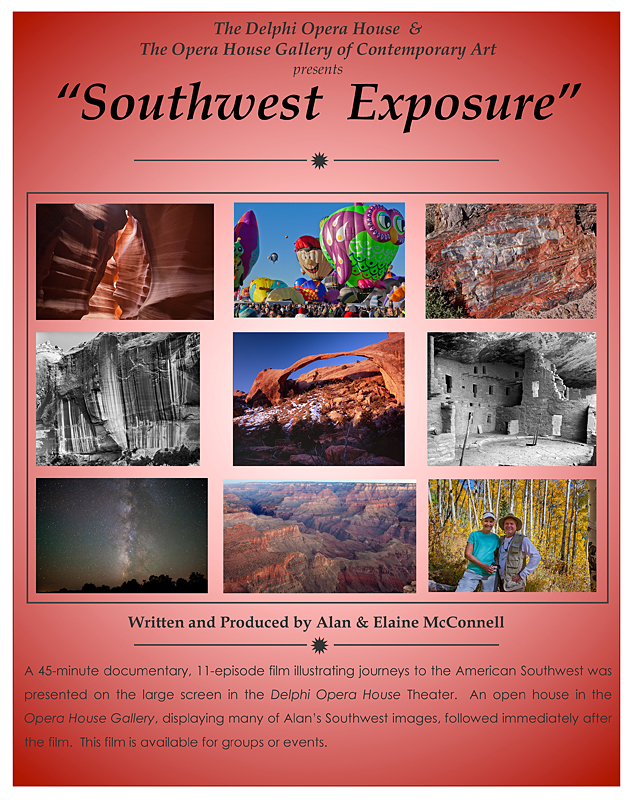 Do you have a group or club that might be interested in having our film "Southwest Exposure" as a presentation? This 45 minute, 11 episode film is a great way to start a discussion about the American Southwest. Contact me for making plans. 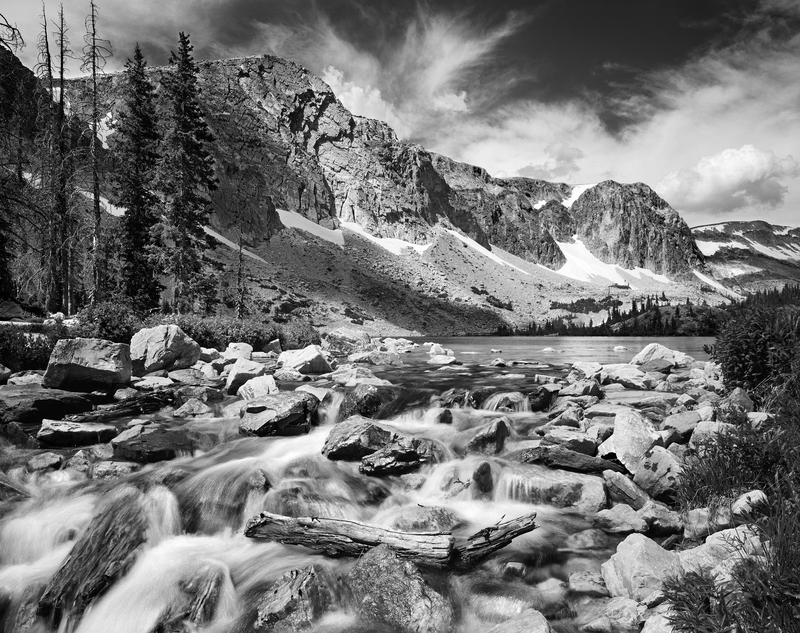 "The Snowy Range of the Medicine Bow National Forest"
Beginning in 1997 with backpack trip to Bandelier National Monument in Northern New Mexico, Artist/Designer Terry Lacy, Artist/Designer Don Nelson, and Photographer Alan McConnell have made many trips to the American Southwest. While there, we would paint, draw, and make photographs of this unique landscape. Below are the videos from our presentation, which consist of 9 chapters from some of the areas that we have visited over the years. Here are 2 videos from my trips to Rocky Mountain National Park. A relaxing video from our backyard. How exciting to receive a handwritten note in the mail! In this hectic world of emails, text, and social networks, we often forget the delight of opening the mailbox to see a personal note! 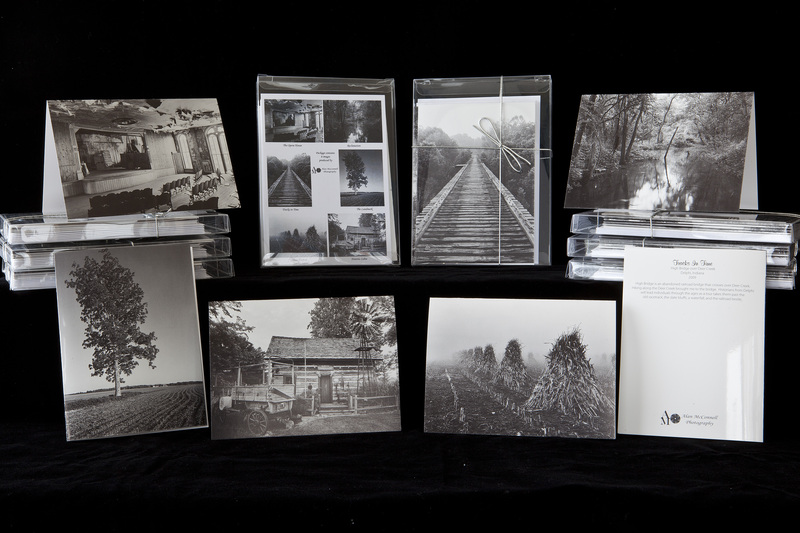 I have assembled a package of six notecards of my large-format photographs. Each 4 ½ x 6 ½ card was duel toned printed on high quality stock and contains a brief description on the backside of each image. The package can be purchased for $9.00 at the Delphi Opera House Gallery or directly from myself.